Baahubali 2 poster: Prabhas and Rana Daggubati’s bloody avatars will make you desperate for the film. The answer to "Why Kattappa killed Baahubali" is soon going to be out, says the makers. Baahubali 2 trailer to release on March 16. 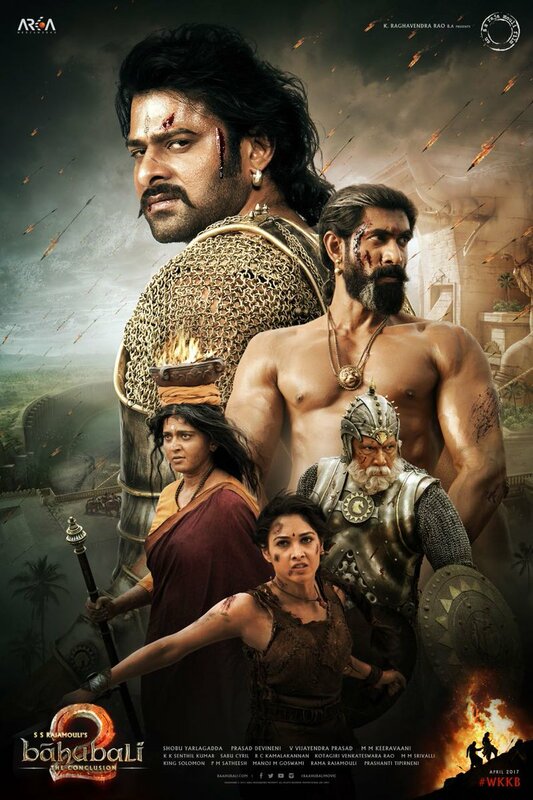 The makers of Baahubali: The Conclusion are leaving no stone unturned to keep us excited about the film. After releasing a poster of Kattappa holding a baby in his hands, which we assume to be Baahubali, they released the look of the entire star cast in a brand new poster. 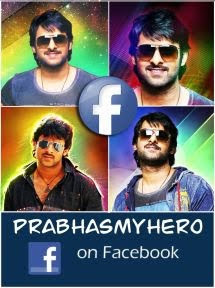 While nothing about this film can be missed, we just cannot take our eyes off Prabhas and Rana Daggubati. Prabhas, who plays the titular character has a painful and betrayed look in his eyes, while Rana is beefed up and his physique makes you bet that this time he is more devilish in comparison to Baahubali: The Beginning. Unlike the other looks which were released before, this Baahubali: The Conclusion picture has Anushka Shetty and Tammanaah Bhatia too. While the first part of the film revealed quite much about Tammanaah’s character, the second would focus on Devasena aka Anushka’s role in story. But amid all this, the question of the century, “Why Kattappa killed Baahubali” remains unanswered. Even director SS Rajamouli in his interview did not spill any beans about the cliffhanger he had left us with at the end of his first film in the franchise – Baahubali: The Beginning. During a live session on Facebook he revealed that the trailer, which will be launched on March 16, will be screened in theaters in Andhra Pradesh and Telangana for general public, while the filmmakers will also show the trailer to the members of the media around 9 am in Hyderabad. It will be available online on the same day. As soon as the latest poster was released, Rana changed his profile picture and is back to being Bhallaladev. Baahubali 2 boasts of an all-star cast including Prabhas, Rana Daggubati, Tamannaah Bhatia, Anushka Shetty, Ramya Krishnan and Sathyaraj. It will open in theatres on April 28 simultaneously in Telugu, Hindi, Tamil and Malayalam.